The bimonthly Safety, Education and Enforcement Committee (SEE) will reconvene at Merzi in Penn Quarter, 415 7th Street, NW (Downhill in same block as Carmine's, across from Hill Country, just north of D Street). The meeting will be Wednesday April 23, beginning at 6 pm. The agenda includes discussion regarding educational issues per BAC testimony at the District Department of Transportation / BAC / PAC oversight hearing last month. SEE will also discuss creating an immediate and practical educational intervention pertaining to the G and I Street NE contraflow lanes. Capital Bikeshare stations are nearby at 8th & D Streets NW and 6th Street and Indiana Ave NW. 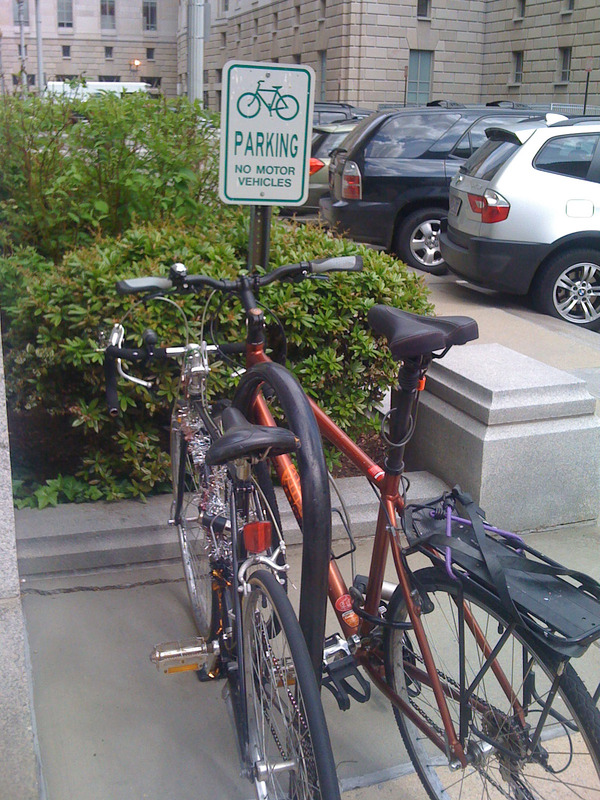 A bike parking corral is located at 8th and D Streets. If you have questions, please contact Andrea Adleman,Chair of the SEE Committee.